Young driver champion, Marmalade, is urging new young drivers and their families to ‘think newer’. In National Road Safety Week the national young driver insurance provider says newer cars make safer sense. Aware of rising costs, Marmalade asks all drivers and their families to at least consider buying a newer car over an old banger. “We realise there are costs attached to a car purchase but we urge newly-qualified drivers and their parents to put safety first,” said Marmalade MD Crispin Moger. Last year, a former employee was involved in a serious RTA. 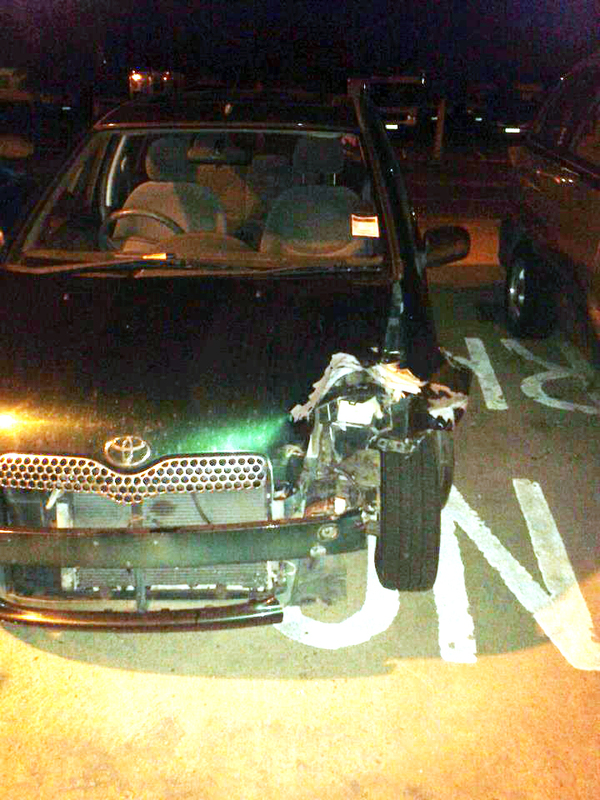 The 22-year-old was driving a Toyota Yaris 2001 plate when the car in front turned left without indicating. The young driver couldn’t avoid hitting the vehicle. She suffered a broken back and her car was a write-off (see picture) while the other driver, in a much newer vehicle, escaped with no injuries and a small dent on his bumper. Marmalade is so insistent that newer is safer and therefore better for young drivers; it will not insure any car more than six years old. Father-of-three David Gazzard has recently bought new Vauxhall Corsa cars for both his elder son and daughter after they passed their tests. The Derby businessman said: “An older car will have years of wear and tear on it and you really had no idea of its history or exactly what you are buying. I wanted my children to start their driving careers in the safest possible environment so they also have telematics fitted.